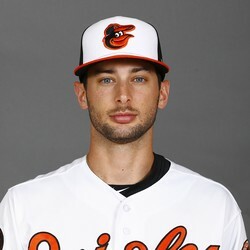 Joey Rickard went 0-for-5 at the plate striking out twice as the Orioles lost to the White Sox by a 12-2 score on Monday. Rickard is off to a slow start this season hitting just .197 with a .274 on-base percentage, one home run and four RBI. The 27-year-old will need to start hitting or he will end up on the bench or in the minors. Rickard is not worth owning in fantasy.